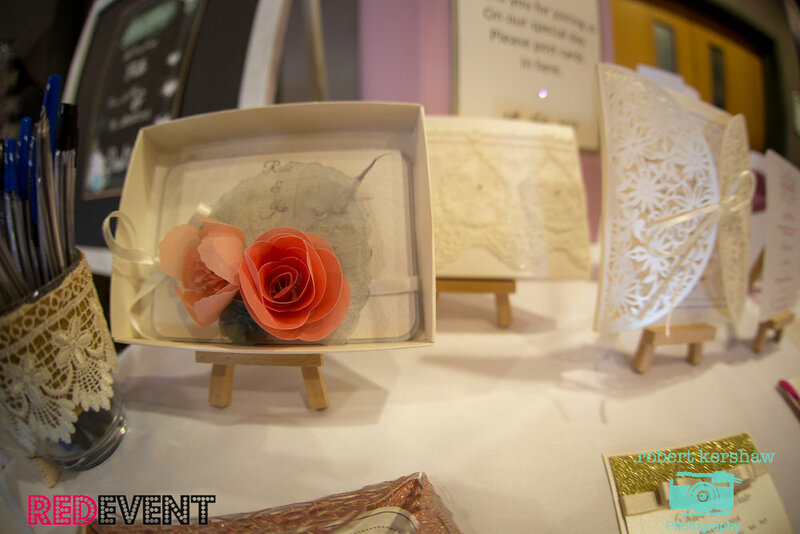 Revisiting the Red Event Wedding Fayre hosted at the Holiday Inn Ellesmere Port! The stunning Regent Vintage 1920s-style wedding car from Century greeted guests as they arrived. With lots of elegance and charm 'The Regent' is perfect as your 'lead car' and is popular choice for weddings. 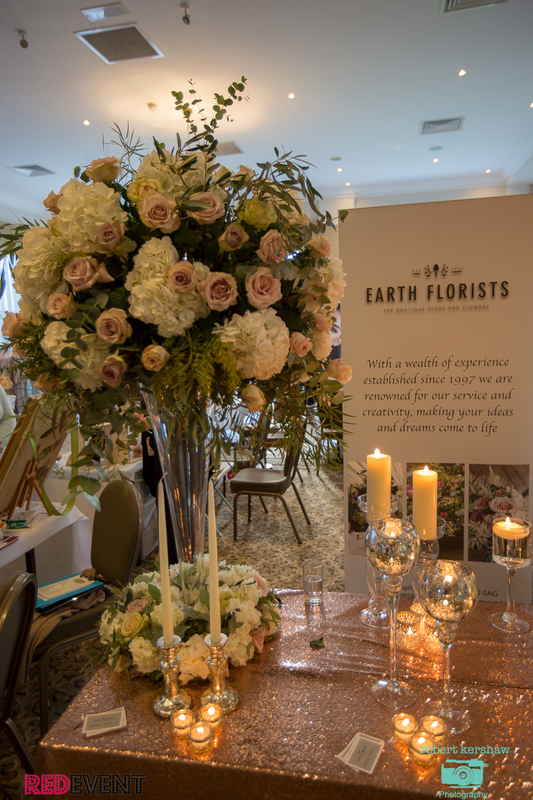 Perfect Bouquet Full of Flowers exhibited with us for the first time at the Holiday Inn Ellesmere Port Wedding Fayre. 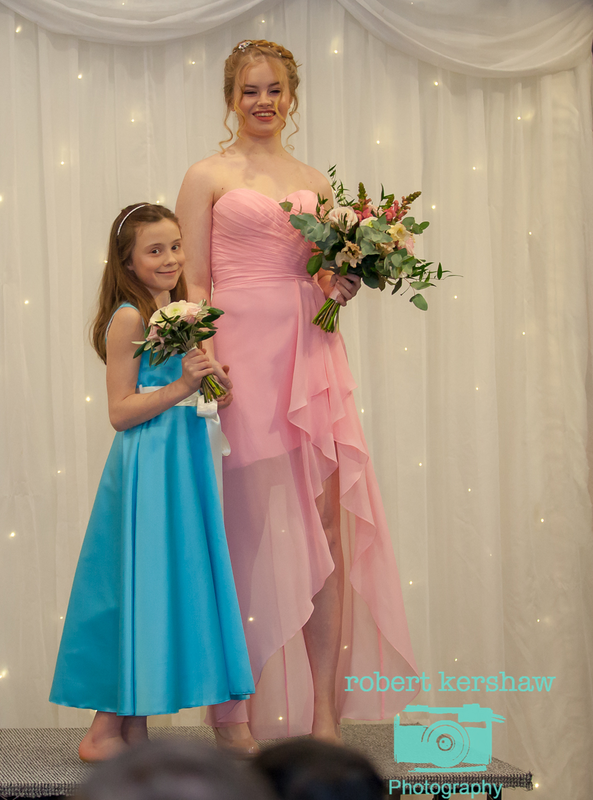 Exhibiting their floral centre pieces, corsages and they featured their bridal and bridesmaid bouquets on our catwalk shows! We loved the mixture of colourful Spring flowers with ribbons! 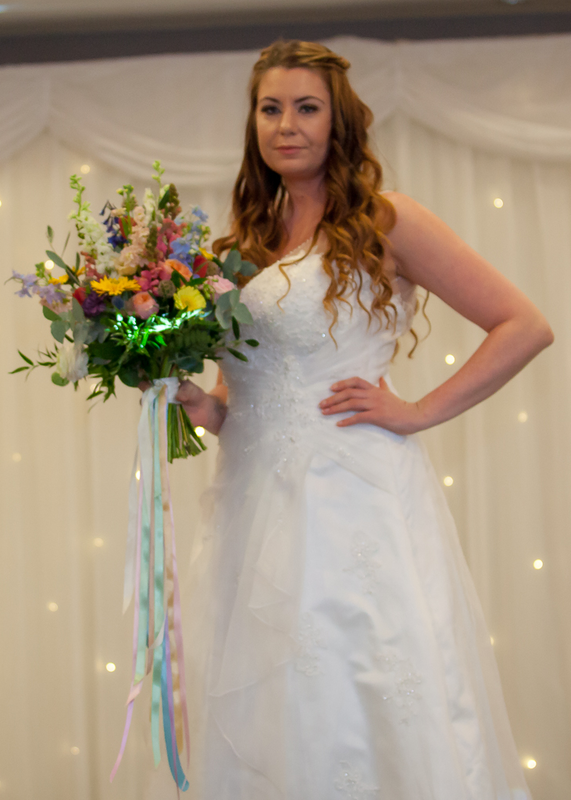 Also showcased on our catwalk was Bridal, Bridesmaid dresses and Star Lite Backdrop by The Wedding Collection, flower girl outfits by Tara Lee Bridal, Grooms-wear by Groom Chester, Hair by Claire Kendrick Hairdressing and Make up by She's Prem completing the over all look! 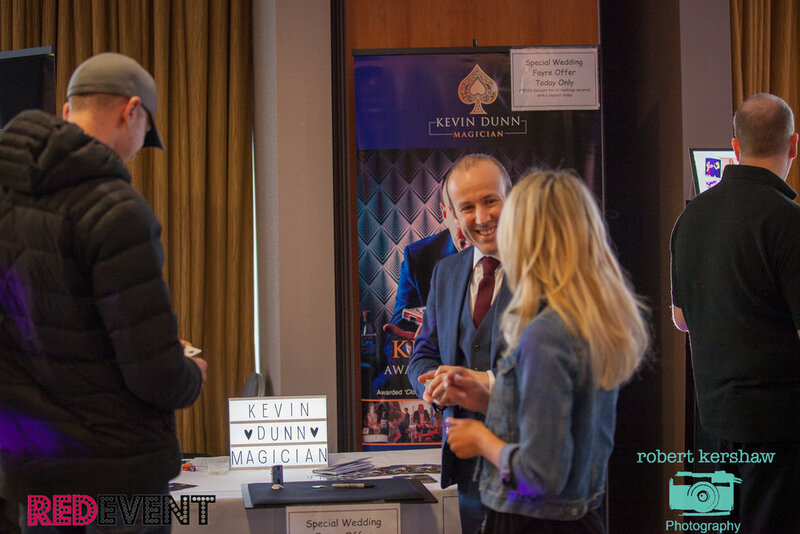 Kevin Dunn Magician wowed our guest with close up magic! A perfect way to add some fun to your wedding and to keep your wedding guests entertained in between the reception and evening meal! Want to have a picture book and keep the memories of your wedding forever? Booth Tube exhibited their 'Magic Mirror', with lots of props to choose from bridal parties certainly enjoyed posing and looked the part in this fun stand alone photo booth! A popular stand with all the Grooms to be! 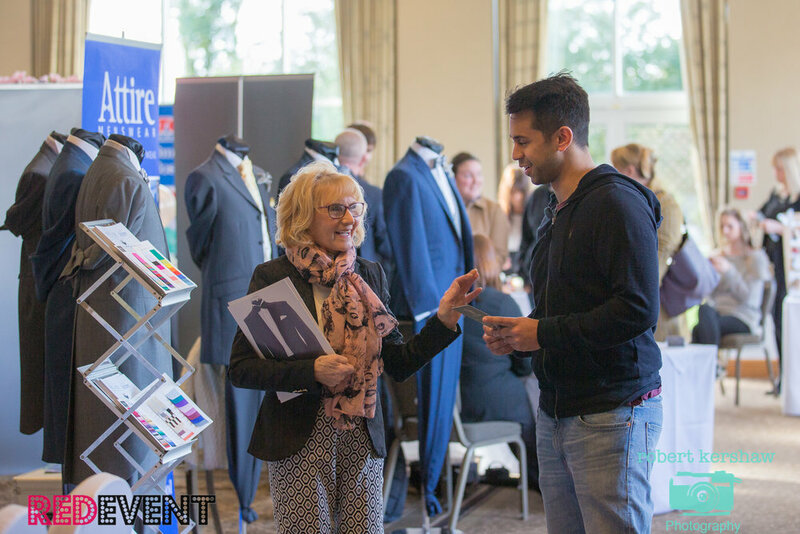 Grooms Menswear offer high quality suits and offer a range of styles, materials, colours, waist coats, shoes and cufflinks, ensuring you Grooms will be looking the part on their wedding day! 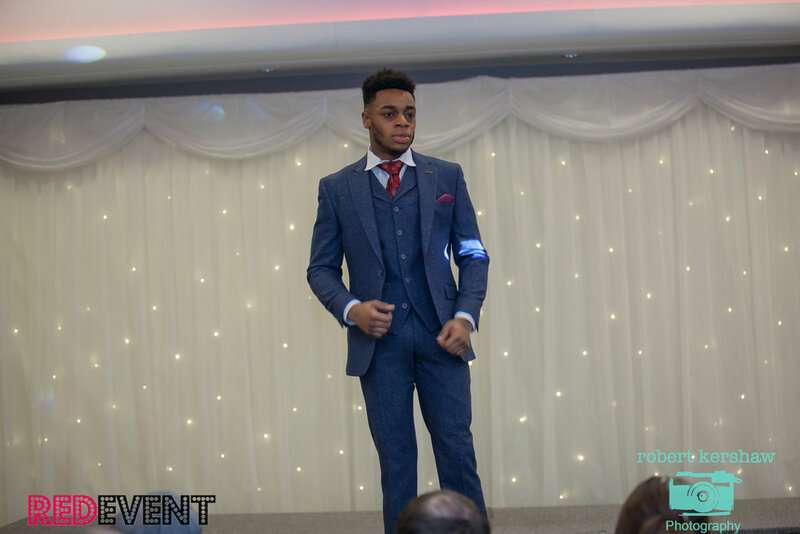 They also showcased their amazing suits on our catwalk shows! We loved this new style of making ice cream from IcyCurls, the idea came all the way from Asia when the owners went travelling seen this cool and unique idea to offer at weddings! Their ingrediants are 100% diary free and vegan friendly Ice Cream!! With lots of different flavours and toppings to choose from we could not get enough of this delicious Ice Cream! Our stars of the catwalk shows! 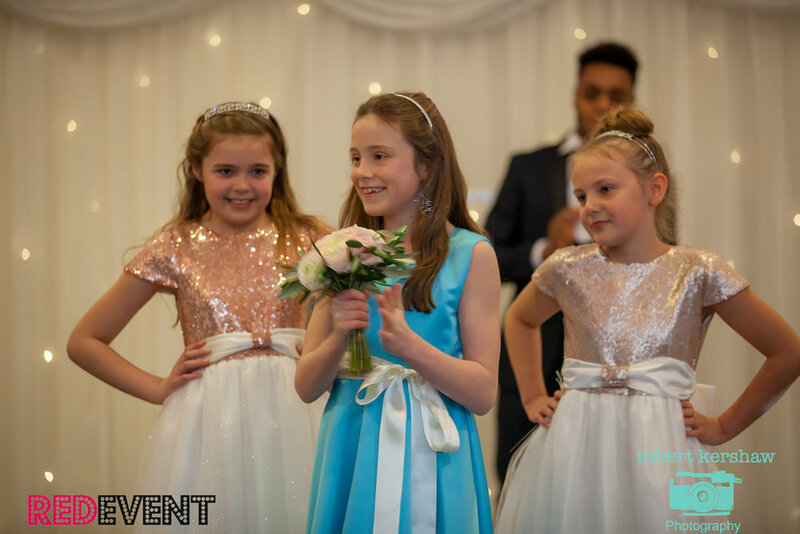 Our three pretty Flower Girls dressed by Tara Lee Bridal. Bouquet by Perfect Bouquet Full of Flowers. A range of the stationery and invitations exhibited by Elite Invite. Sarah from She's Prem worked along side Claire Kendrick Hairdressing making over our catwalk models and offering mini make overs to brides to be. 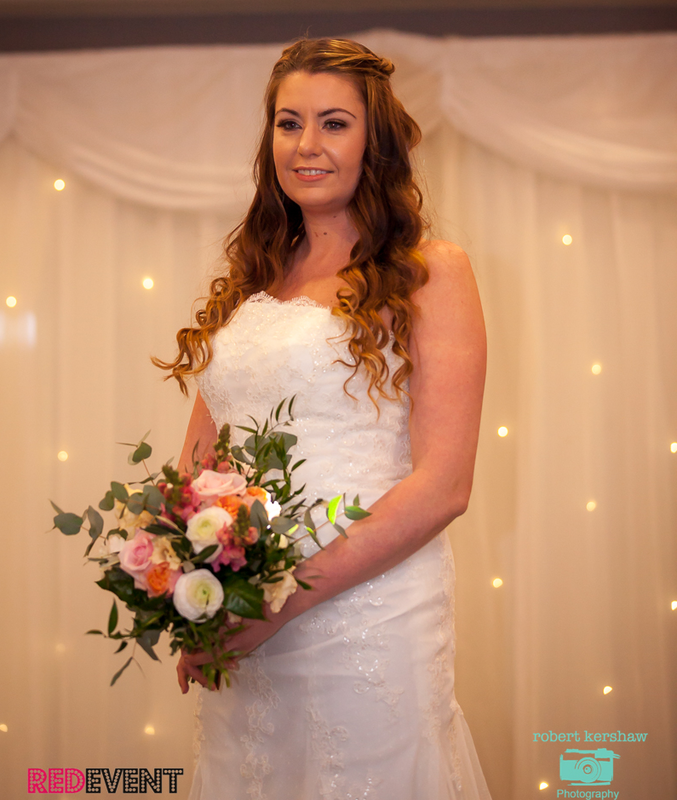 From the more natural bride to a more contoured look Sarah made our models look the part with her bridal make overs. Claire showcased a range of hair styles from the classic curly blow, elegant up do to the boho style bride!! 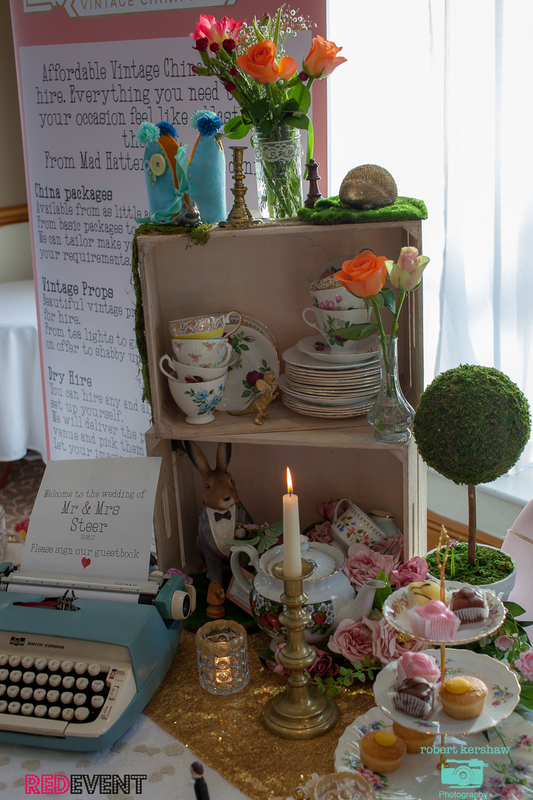 Shlizzy offered vodkas and gins at our Wedding Fayre. The beautiful bottles they use mean that the smaller gins and vodkas make lovely gifts, wedding favours or a pretty little treat for you! Infused with quality spirits with fruit they grow on their farm and honey from their bees we loved their fruity produce! Add a little sparkle to your ceremony or on the dance floor with these light up letters from Letter Be Light. Our model Kim certainly looked the part posing infront of these props wearing a Bridal Gown from The Wedding Collection. 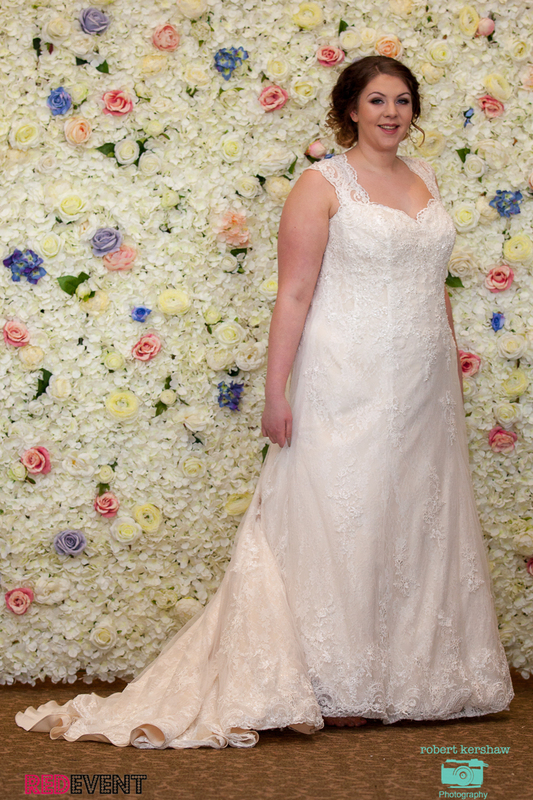 Our bridal model Ellie looked stunning in this new laced Wedding Gown from The Wedding Collection. 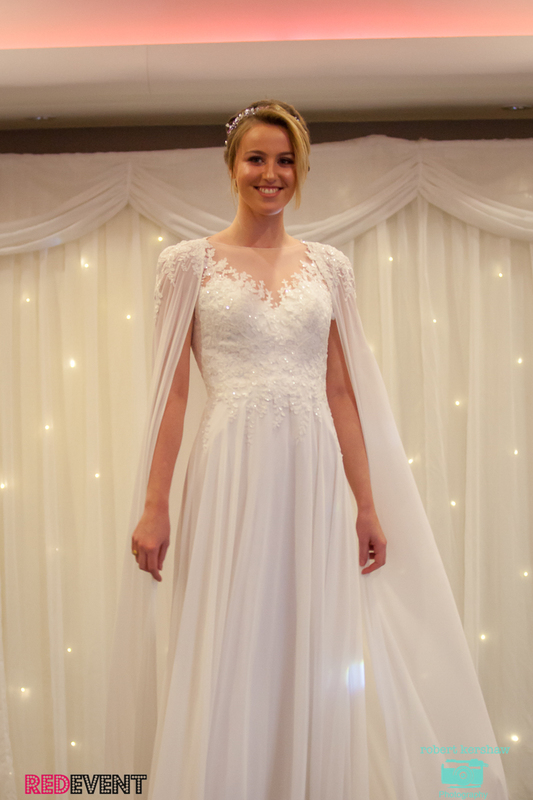 We were so excited to be showcasing the brand new collection of bridal and bridesmaid from The Wedding Collection designers included Demetrios, Cosmobella, Colour by Kenneth Winston and Private Label by G. We loved this wedding dress with an ajustable coat! Hair by Claire Kendrick Hairdressing and Make up by She's Prem. Glamour Booth exhibited their Candy Cart Hire, Photo Booth and their fun indoor and outdoor games to hire to entertain adult guests and children! Their retro games such as Pac Man, Donkey Kong and Space Invaders took us back to the 80's and keeping with the more traditional games they offer Hook-A-duck, Tug of War, Croquet, Giant Jenga and Connect 4 plus many more!! 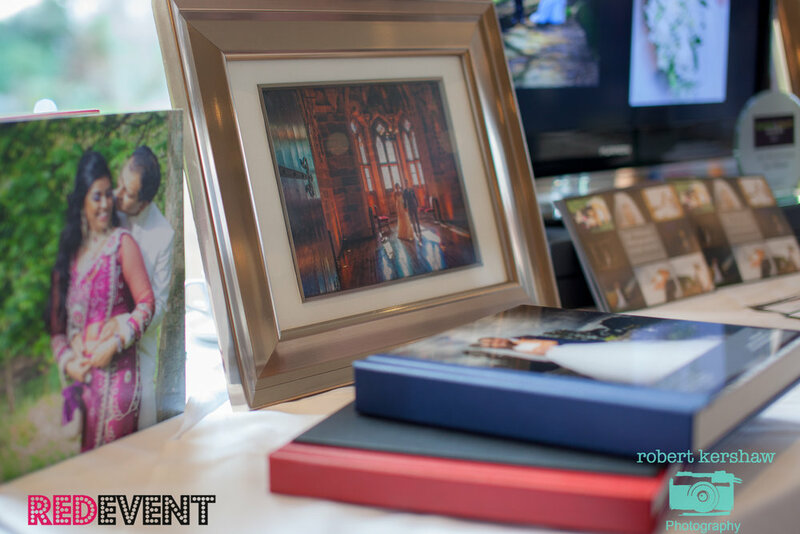 Always a popular category to be displayed is photography as capturing your wedding day is one of the most important parts so you have the memories forever! 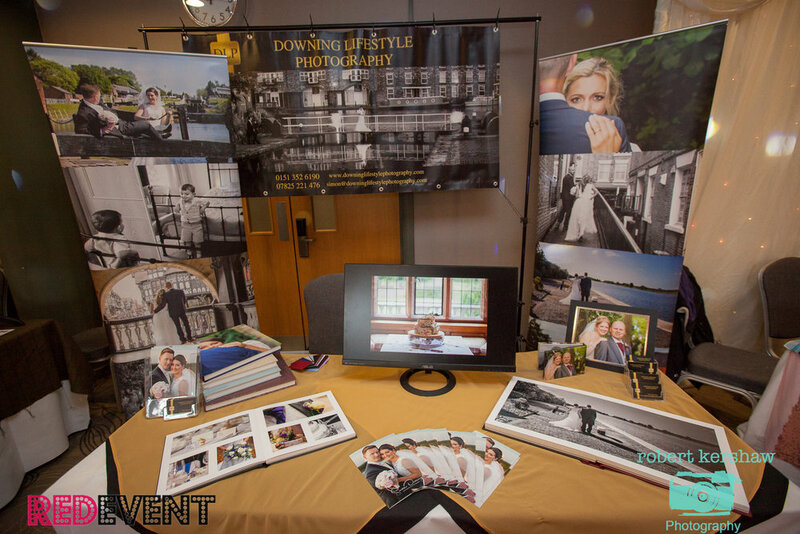 Two of our regular exhibitors are Keyhole Studios and Simon Downing Lifestyle Photography showcasing some of their amazing wedding portfolios! Sapphire Occasions offer yummy Chocolate Fountain Treats and a casino fun table for your wedding day! A enjoyable way to entertain your guests at your wedding and there is even a bottle of fizz to be won! 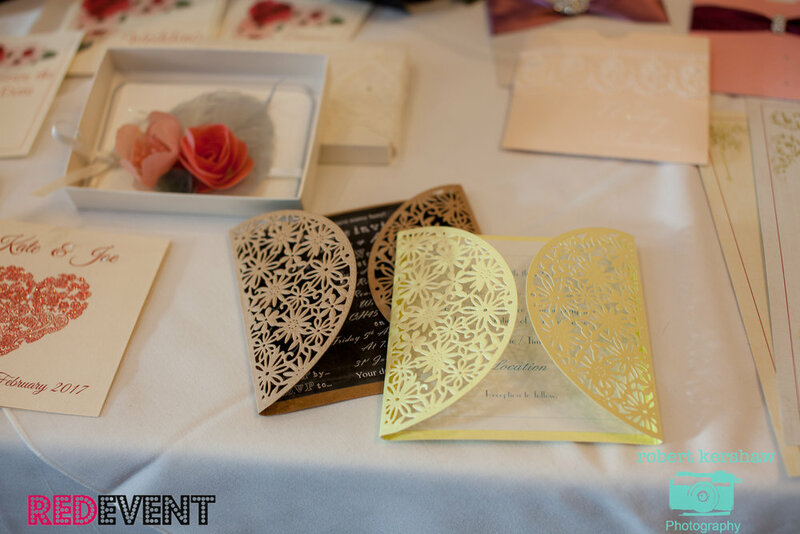 Beautifully handcrafted wedding invites, stationery and post boxes exhibited by RoseVert Designs. Bespoke made just for you! Brides and Grooms enjoyed delicious cake samples from The Cake Day. 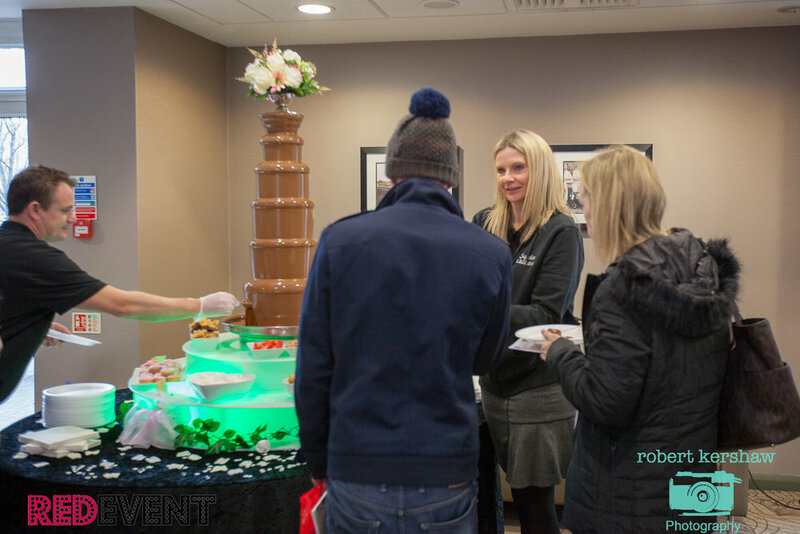 They can cater for your wedding day and make sure that the cake or dessert table you want is just right for you and your wedding. 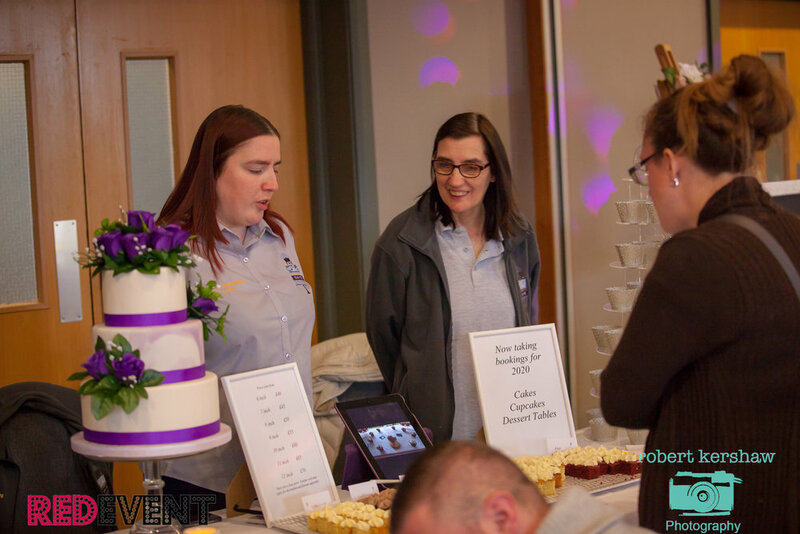 They can cater for wedding cakes, cutting cakes, cupcakes and dessert tables with a variety of cakes and bakes to feast on. 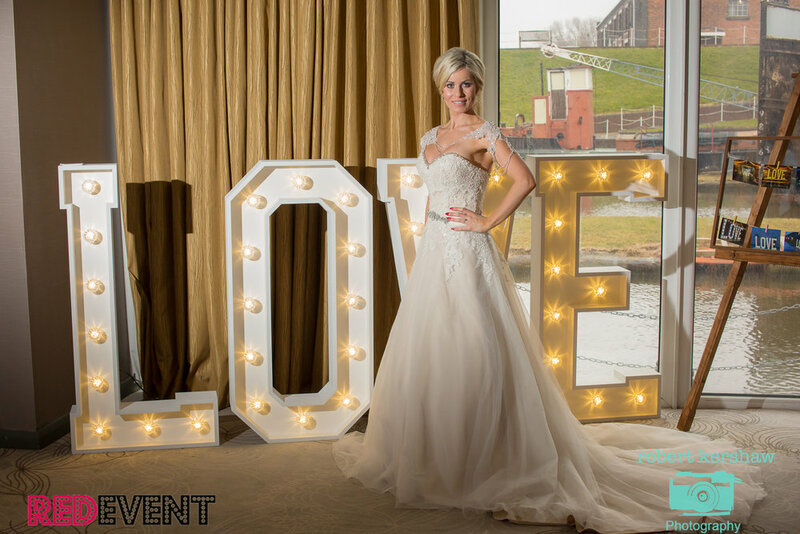 For more wedding ideas and wedding inspiration brides picked up the latest copy of Your Cheshire & Merseyside Wedding Magazine and entered their competition to be in with a chance to win their honeymoon! 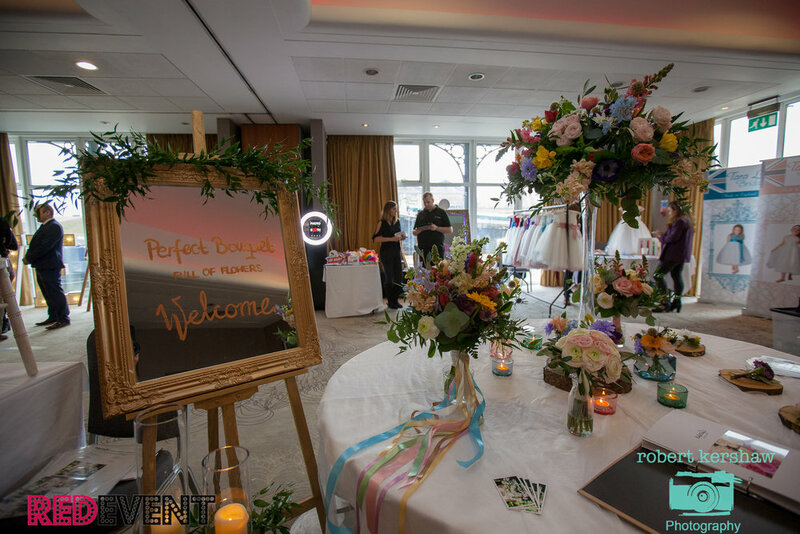 With special thanks to everyone who came along to our wedding show and to Robert Kershaw Photography for capturing our wedding fayre! 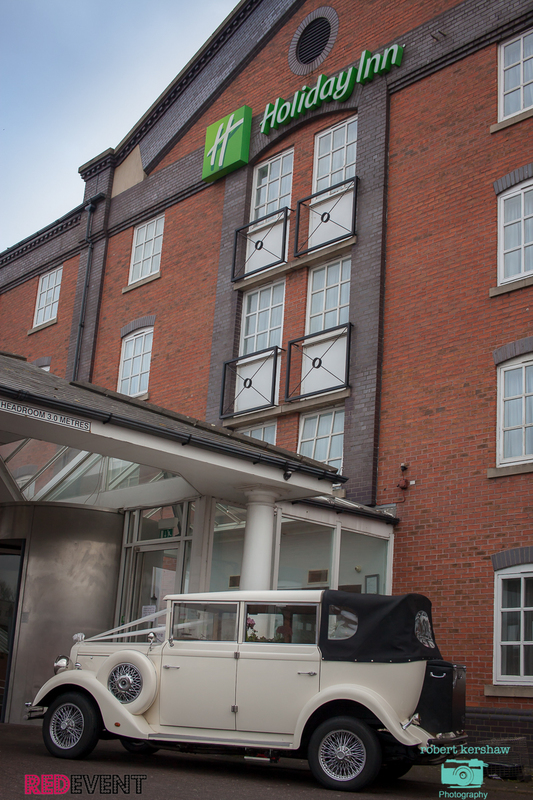 Save the date for our next wedding fayre as we will be bringing you another fabulous Wedding Fayre on Sunday 23rd September, 12 - 4pm at the Holiday Inn Ellesmere Port Cheshire Oaks. With lots more of the latest wedding trends, wedding ideas and inspiration for you to browse and enjoy you won't want to miss it an afternoon of wedding shopping and planning!! For further information and to pre register (and be in with a chance to win meal with a house bottle of win at the Holiday Inn restaurant for you and your finance, plus many more prizes) visit our event page here. We look forward to welcoming you!